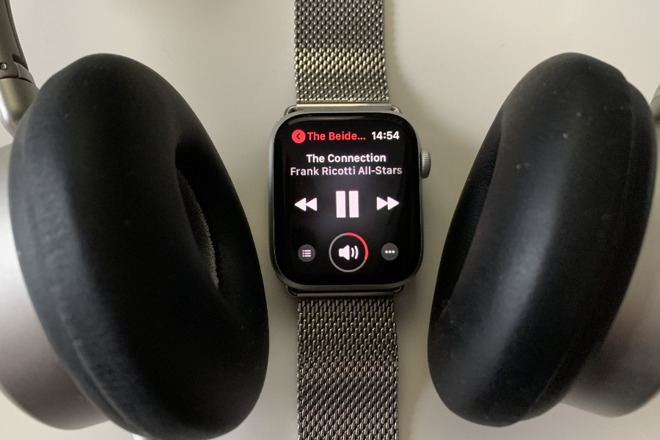 We've covered in detail how oddly confusing music on Apple Watch is, how hard it is to know whether you're playing music that's physically on your Apple Watch or is being streamed over your data plan. There are buttons that take you to different places depending on when you press them. There are screens that do different things depending on which route you take to them. And then there's the fact that if you ask Siri to play some music, it will always stream it via your iPhone whether or not you've already downloaded it to your Watch. Now you know how it works, though, you're ready for its foibles and you can get around many of them by physically getting music onto your Apple Watch. Even without you doing a single thing, your Apple Watch does already have music stored on it. 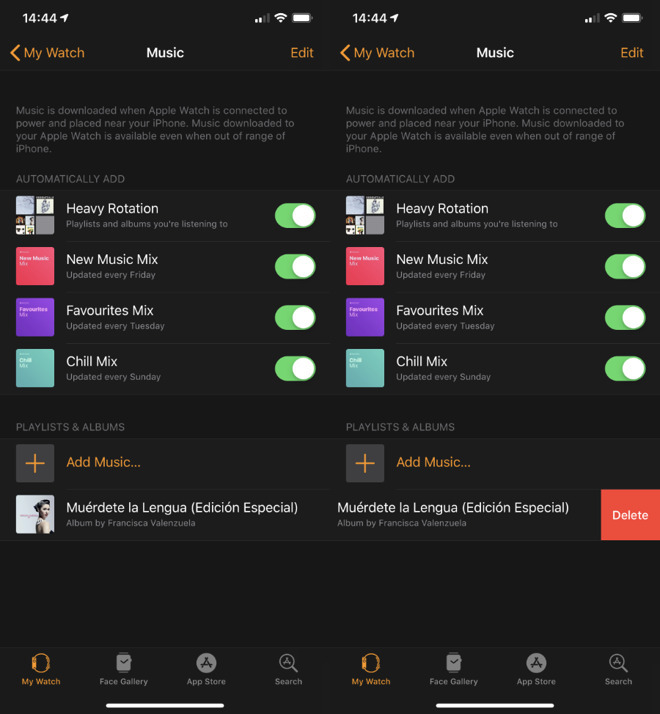 If you're an Apple Music subscriber then the Watch will have your Favorites, Chill and New Music mixes saved. And it will refresh them every week, too. It may also have a further playlist called Heavy Rotation, which stores some number of your most often played songs. Or it will have one or two of your Apple Music playlists. Aside from the mixes, it's not clear what the reasoning is behind which other playlists or what other music gets picked. Part of it is clearly that it's all music that you've recently listened to or you've played a lot. There's also got to be an issue over storage space. In prior versions of the Apple Watch and of its watchOS, you were limited to a maximum of 2GB for music. That was 2GB out of the Watch's total storage capacity of 8GB. Now the Apple Watch Series 4 has 16GB total storage. The old 2GB limit has definitely been lifted but it's not clear yet whether a new, higher limitation has been set. What is certain is that the 16GB total storage has to be shared by music, apps and watchOS. If you're happy with what music has automatically been installed on the Watch, pop your AirPods in and choose what to listen to -- just not by asking Siri. Instead, tap on the Music app. You'll see whatever screen you had last, whether that's the playlists or the play/pause one. When you're at the playlist screen, tap on any of those listed. If you scrolled up instead and choose Library, you'd now be picking from all your Apple Music, regardless of whether it's stored on the Watch or not. Each time you set a new song playing, the Music app changes to the play/pause screen. On that, there are two controls at the bottom, either side of the Volume. To the left, there's an icon of a bullet-point list and tapping that shows you the complete contents of the current playlist. Tap on any song to make it start playing. To the right of the Volume, there's an ellipses icon. Tapping that gives you, again, the name of the current song but also a Delete from Library button. This is about deleting from your overall library of music, not just, say, the library of music on your Watch. 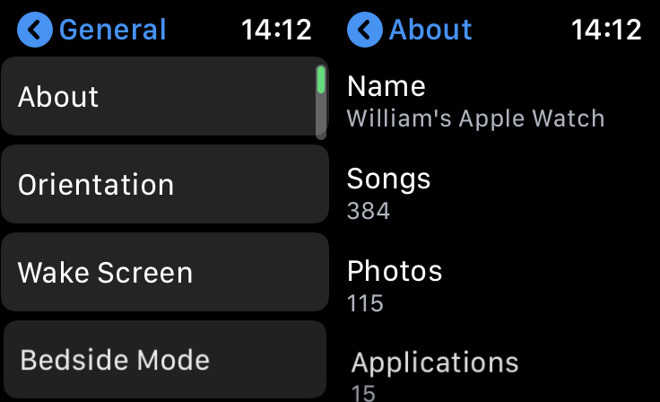 Now you know how to play music that's stored on your Apple Watch and you also know how easily you can end up inadvertently playing music that isn't. There's just the question of telling your Watch what specifically you want stored. On your iPhone, go to the Apple Watch app and choose the My Watch tab. Scroll down and tap on Music. Until you've added music yourself, this will just show you the three mixes plus Heavy Rotation with an on/off switch next to each. Under that, though, there is a section called Playlists & Albums which has a button marked Add Music. Tap on that and you're given the option to search for a track or to choose via Artists, Albums, Genres and so on. That's it. Find the song or the album you want, tap on it and you'll see it on the iPhone's Apple Watch app. You can then immediately play it on your Apple Watch as it gets shown alongside the playlists right away. It's not actually on the Watch yet, though. It takes some time to download the music and until it's finished, the album art will include an iCloud icon at bottom right. It's going to take you a while to pick the music, too. While you can easily tap on one song or one album to have it added, things get slower when you want more. If you want your entire collection of Suzanne Vega albums on your Watch, get used to tapping. You can only add one album at a time. You can also only remove one album or playlist at a time -- and you have to do that from the iPhone's Apple Watch app. This is how you set up your Apple Watch to store the music you want. You can do the same with podcasts and those are treated in a similar way to the music mixes. They get refreshed with the latest editions, for instance. Though when you've listened to a podcast episode, it is then removed from your Watch. Or rather, that's what happens when you use Apple's own Podcasts app. Your mileage will vary if you a third-party one and that's a whole other topic for another day. How to listen to any different audio, how specifically to use Spotify -- and the surprisingly limited way you can use Apple Watch with the HomePod. Until recently I have not tried to put music on any of my Apple Watches and I have had Series 1, 3 and currently a 4. I would use the watches ability to control a playlist running from the Phone, but not to have it stored. It still seems clunky to me. A bit bizarre that Apple won't say how much music can actually be stored in the new Watch. The 2GB limit is a joke. Huh, I went to Settings->general->about and was given the number of songs and storage amounts. Are you not getting this or am I being obtuse? The 2GB limit has also been rolled back. It is significantly more than that now. We stopped loading after 5GB. Some of us have a life. This is really good to know. Thanks. The storage on an Apple Watch is about 8GB, right? If so, 5+ GB of songs is really amazing. I take it from these instructions that the music to be loaded to the watch must be on the phone first? There's no way to get it from iTunes to the watch without storing it on the phone first? Yes, I think so. At least, that's the only way I've done it. Yes, and not only does it need to be added to your phone, it needs to be downloaded onto the phone as well. If it's just an added album or playlist that streams from the cloud it won't load onto the watch without it being downloaded on the phone.